October 12th was the Saturday of New York Comic Con 2013! Well, not for me. Instead of going to NYCC all I did was dwell on how I was stuck in a beachy vacation paradise while I cracked open the 65th seal of the Roboplastic Apocalypse. Yet somehow I was able to drown my sorrows with a weekend of fun doing south Florida style convention stuff at UltraCon 2013 . Trust me, it was really hard trying to be happy while surrounding myself with young half naked women in tiny costumes made of salad. Despite the fantastic comic book based boobery I was enjoying, my mind continued to wander off to the northern side of the east coast where Robo Force was being relaunched at New York Comic Con! What do the new Robo Forcers look like? What insanely rare and incredibly low priced Transformers artifacts did I find at the convention I went to? And why has it taken me 65 episodes to finally do a listener appreciation show? Find out all that and more in this ALL I NEED TO BE HAPPY IS FOUR LISTENERS AND A BOTTLE OF RANCH DRESSING edition of the podcastalypse! 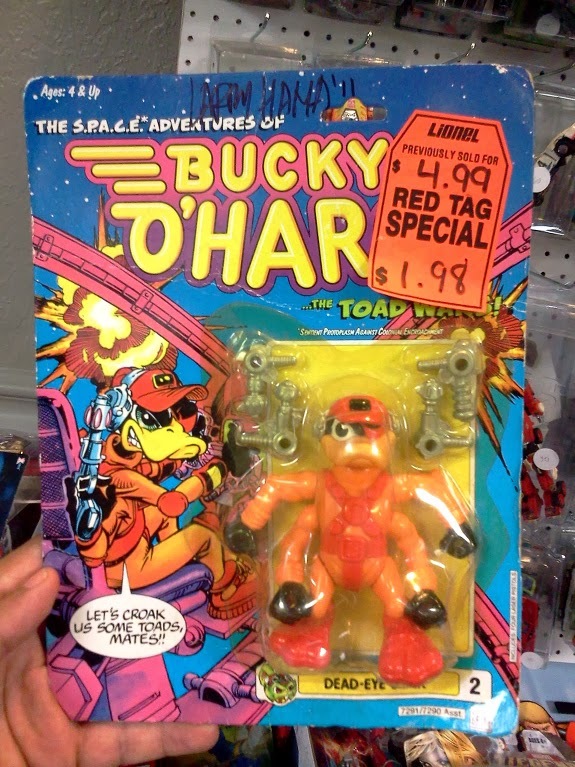 First of all I want to thank tremendously John of Toyfinity.com who sent me this picture of the new Robo Force toys slated to be released later this year. He had a table at NYCC where he debuted the figures and even put some orange Maxx Zeroes out. Keep checking TheRoboForce.com for more news on this most robotastic of 80s toyline rebirths. I loaded up the van with some 80s Hasbro Toy Fair catalogs and my giant cardboard SDF-1 and took it all to UltraCon! The idea was that I'd meet up with some guys that are in this south Florida collector club I'm a part of and we'd all take pictures with the Macross and look through the books and be happy and boy was I wrong. That didn't happen but it is kind of fun listening to me trying to complain about it all even though I was pretty happy with how everything else went. I guess the point of the story is don't assume everyone is going to be ready when your giant superdimensional space fortress crashes the party. It's always fun seeing what UltraCon convention organizer Irving Santiago literally brings to the table. His display of thousands of action figures for sale from the 80s through today was overwhelming as usual. Of course I gravitated towards the Transformers and GoBots he brought. 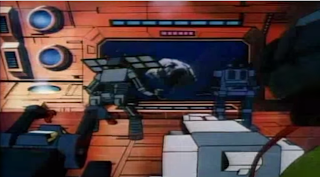 It was fun seeing a bunch of Dinobots hung up in plastic boxes like slabs of beef at a slaughterhouse. It reminded me of my idea that Jurassic Park should have been a restaurant that served dinosaurs to eat and not a theme park that raised them just to look at. Speaking of eating the robots, one table at UltraCon had this crazy setup where all the Transformers were in to-go boxes like you'd get at a restaurant! The big jumble of parts that was Computron sort of looked like Thanksgiving Day leftovers as he lay in his big foil turkey dish. So I'm at the buffet and everything seems a bit high priced, but then I spy a sandwich bag with some decoys. But not just any decoys, a couple of red Decepticon decoys! You may recognize the red US released Decepticons as the most sought after of the decoy variants. I knew this but not really being up on the decoy secondary market I kind of shrugged when the guy said he wanted ten bucks each for them. After doing a two-for-fifteen on the red Scavenger and Megatron I still kind of felt like I paid too much. But when I checked how much a red Megatron went for recently on eBay I was floored. It looks like the $7.50 I spent on him wasn't too bad after all! I doubt that same sort of magic will happen for me, especially since only one guy bid on the thing. It may be that the only guy in the world who was willing to go that high was the guy who found that auction. But I wouldn't mind putting the ones I got at the show up to see if a little rubber Megatron I bought for $7.50 can finance my purchase of a $90 Masterpiece G2 Side Swipe. And now I would like to thank a few listeners whose recent communications with me have led to my acquisition of wonderful knowledge or just cool stuff. First off a big thanks to Jared Cronin for giving me the heads up on a super affordable set of Decepticon Color Me Stickers. I complained in an earlier episode about missing out on these and explained in my review of the Soundwave pages of the 1984 Hasbro Toy Fair catalog why I was so intensely interested in them. 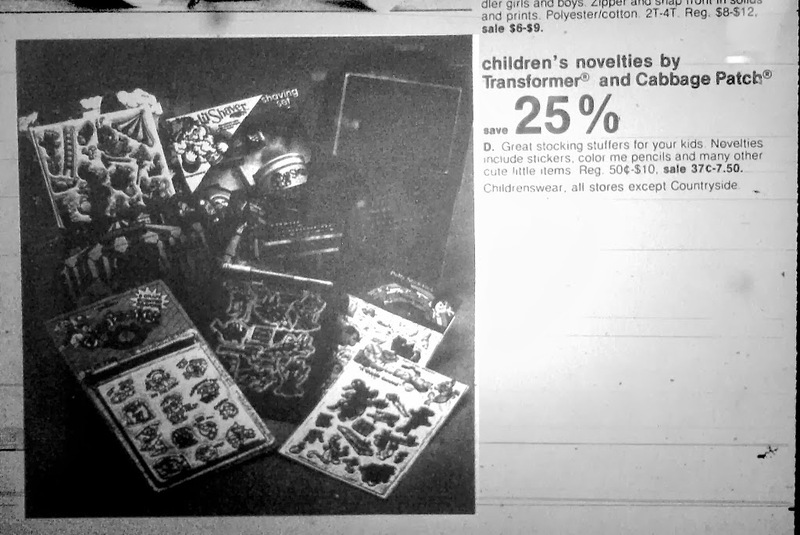 They're actually based on the line art that was used in '84 Transformers newspaper ads (which was in turn derived from the '84 Toy Fair catalog pages as you can see below). So if you're a line art nut then they're cool to have. And if you're not a line art nut, then they're still kind of cool to have in an obscure artifact kind of way. Either way I wanted to publicly thank Jared for giving me the heads up on these. I also wanted to do a shout out to Aaron Schnuth of Scnuth.com, who used to do the Weekly Anime Review Podcast. WARP was definitely an early inspiration to me and it's funny to think that he's listened to an episode or two of mine. Last but not least I wanted to thank the anonymous commenter who pointed out to me this Houston Chronicle slideshow of pictures featuring a giant 3 1/2 foot Leader-1 in jet mode. We believe it may be the same figure I posted a robot mode picture of but couldn't identify. All I knew is that a giant GoBot existed thanks to newspaper reports of the Robert Malone GoBot publicity tour in 1984, but I never found a picture of it. So this Houston Chronicle picture is like the linchpin that ties it all together. It's extremely rare evidence of an even rarer artifact that I've not seen documented anywhere else. 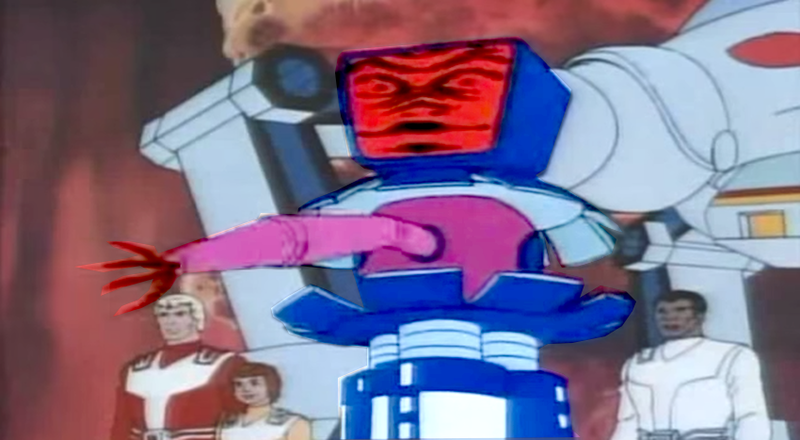 Why were there so many 80s shows about robots where the voices all sounded the same? 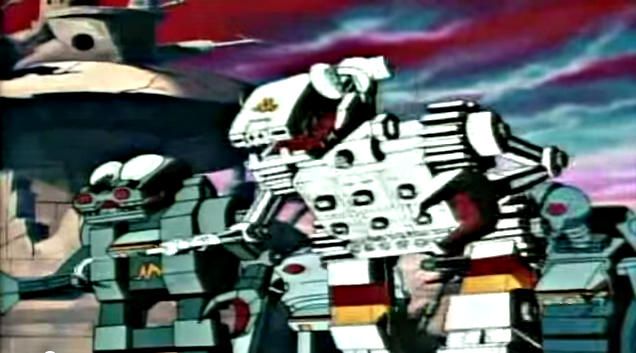 GoBots and Robo Force, Voltron and Transformers, it's all the same voices just with different robot names! Join the Nostrodomatron and Colin of fairplaythings.com as we delve deep into the Sunbow Connection conspiracy and other things that I don't understand about life, the universe, and all 15 episodes of Robotix. 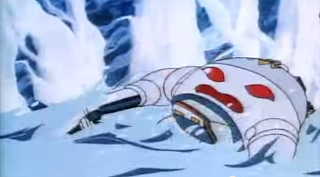 Yes it's another Robotixtastic Podcastalyse as Colin and I return to Skalorr to discuss Robotix the cartoon and all of its mysteries like who the real villain of the show was, why nobody on either side really wanted to win the war, and how Commander X was breathing in space before Batman made it cool. What happens when humans crash on a robot planet instead of the other way around? 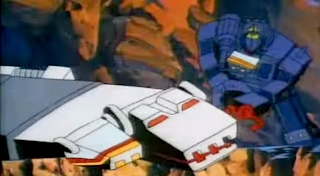 What is the sound of evil Optimus Prime laughing? What is the difference between -trons and -tons and -cors and -cons? Find out all this (well except for the last one) and more in this WE ARE ALL THE BOOBIES edition of the podcastalypse! 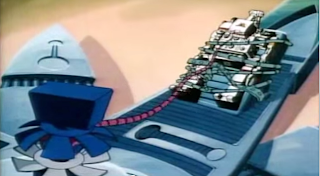 Many cartoon voice actors who had previous toy robot commercial experience ended up with roles in Robotix. This is extremely coincidental considering there were only about a half dozen robot shows while everything else was a Smurf or a crime fighting team. Yet looking at the casts you would almost think that the same ten actors voiced all the 80s toy robot cartoons! Even more interesting is how this robot voice actor mafia also did most of the popular 80s cartoons that were not toy robot commercials. 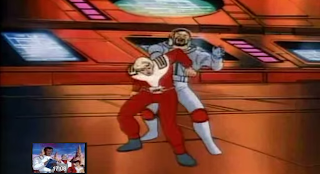 For example, Arthur "Argus" Burghardt who is more well known for voicing Devastator from Transformers and Nazgar from Robo Force also voiced Destro in that non-robot based cartoon G.I. Joe! Mighty Orbots is almost the only robot show to not share a robot actor with any other series except that Don "Ratchet" Messick voiced Bort. All the other robot shows' characters ended up sounding the same because they WERE the same actors! And don't get me started on Peter Cullen and Frank Welker. Quick! 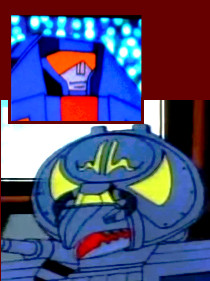 Can you name an 80s cartoon based on transforming toy robots that had Burghardt, Cullen and Welker in the voice cast but was NOT Robotix? You have at least two other shows to choose from! 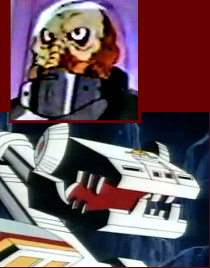 Cullen alone was in everything from GoBots to Robo Force, Robotix, Transformers, and Voltron! It's kind of odd that no matter which toy robot line was being advertised, Peter Cullen got paid. Autobot, Decepticon, Protecton, Terracor, it didn't matter-Peter Cullen profited majorly from the Toy Robots Wars of the 1980s no matter which imaginary faction or toy company won! Is it possible that Cullen's characters conspired to purposely prolong the conflicts in their episodes so that he could buy a Porsche? WAKE UP, CYBERTRON! PLOTHOLES, PIEHOLES, AND OTHER THINGS ABOUT THIS SHOW THAT 'TIX ME OFF! Robotix is really a lot of fun. It takes a lot of the standard robot war tropes of its time and stands them on their head a bit. Humans crash into a planet of warring robots and Peter Cullen is the bad guy. Right there you have 180 degree twists on the Transformers. It's also animated beautifully and the character designs are very interesting to look at. But of course the Podcastalypse wouldn't be complete without me complaining about something and so Colin and I discuss a number of what I consider inconsistencies and problems with events in Robotix. Here are most all of them and even one or two bonus nitpicks we didn't discuss. Narra's face is the laziest attempt at anthropomorphizing a robot toy I have ever seen. Remember how Marvel Studios went to great lengths to make humanoid character models based on the Transformers toys, many of which did not have conventional faces? They did a lot of work giving Ratchet, Ironhide, Windcharger, Gears and Huffer human looking faces. Where were those guys when somebody just slapped a stick figure happy face on Narra and called it a day? In the final episode while the Protectons are fleeing through a city's ruins they enter a room with statues of what look like dinosaurs and a large gorilla. Why were these replicas on Skalorr? Did the Skalorrians visit earth at some point? Is Skalorr really Earth? 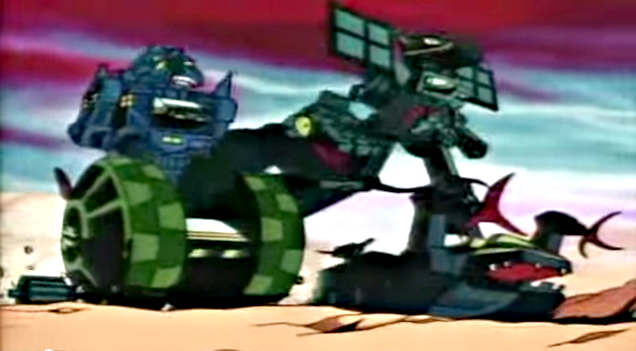 Some of the Robotix look like they are patterned after dinosaurs, so is this an attempt to explain that? Why did they show this room so late in the show? This is more of a violation of Chekov's gun than a real plot hole, but I still found myself annoyed by it. Compucore's behavior is easily the most aggravating thing about the entire show. Why did the Protectons build a computer that is practically sentient but that has no conscience whatsoever? It constantly frustrates the Protectons by witholding information and even wipes their brains when Nemesis asks it to. This thing essentially has the power of life and death, yet anyone at all can use it! 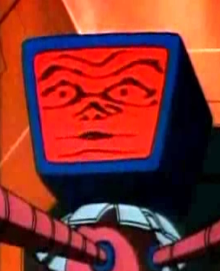 If the Terracors were such obviously terrible beings, why does Compucore's programming allow it to take orders from them? Are the Robotix really alive? The implications of the essence transfer process are actually quite scary. Compucore explains that when Argus is restored, it's done using a backup copy. The essences stored in the chambers are uploaded and downloaded like programs and even referred to as data. So what are the Robotix? Are they living sentient machines or just zombified pre-programmed automations? Where is Venturak when the volcano explodes? Just before the volcano erupts, Nemesis beats up and abandons Venturak who is begging for help and tells him his melted remains will be honored in Terracor history. Despite this, Venturak stays with the Terracors and is NOT with the Protectons as they escape the volcano. Then magically he appears with the Protectons and is instrumental in getting Zanadon flying, only to later betray them by letting Nemesis invade by leaving the dome open. Why would he help Nemesis who left him to die and how did he get out of the volcano? Breathing in space. This is the biggest and most obvious flub in the entire series. 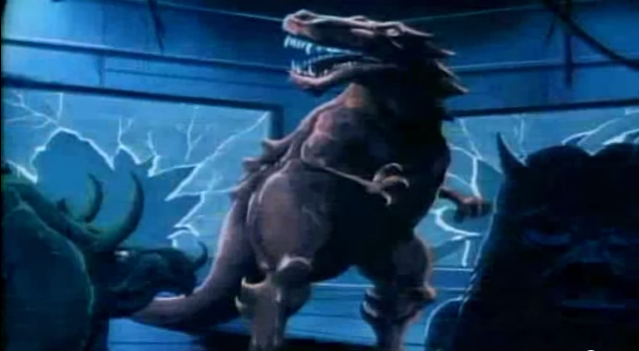 During the final battle, Exeter and Argus break through the window of the Terrastar's bridge and attack the Terracors. The window is never repaired and Exeter goes on to fight Kanawk who dons a spacesuit to survive in the cold airless vacuum of space. Somehow Exeter manages to fight heroically for several minutes in outer space with no protection from the environment! WHY DON'T THE TERRACORS ESCAPE THE TERRASTAR BUT INSTEAD STAND AROUND LIKE A BUNCH OF IDIOTS WATCHING ARGUS AS HE DOES? At the very end Argus floats toward his friends who are now in the form of a ship that flies him back to the surface. WHAT? 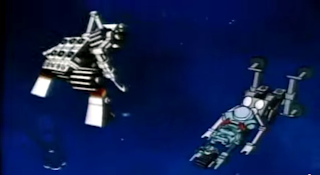 The Protectons could have transformed combiner style into a spacefaring ship the entire time? Then why didn't they just do that at the beginning to get the humans home? Solve that problem and then focus on the Skalorrian war which was a thousand times more interesting without the humans! STOP POKING ME WITH THAT THING!